An easy and healthy way to start your day. This delicious and unexpected combo was created by my hubby a year ago and now it’s our go to snack or brekkie for this time of year. Great for the whole family- our little one loves it! If you head over to the market now you’ll find this small sweet fruit, which is in season in late summer and early fall (aka. Now). Figs are native to Middle East and Western Asia where they thrive in the dry, sunny climate. 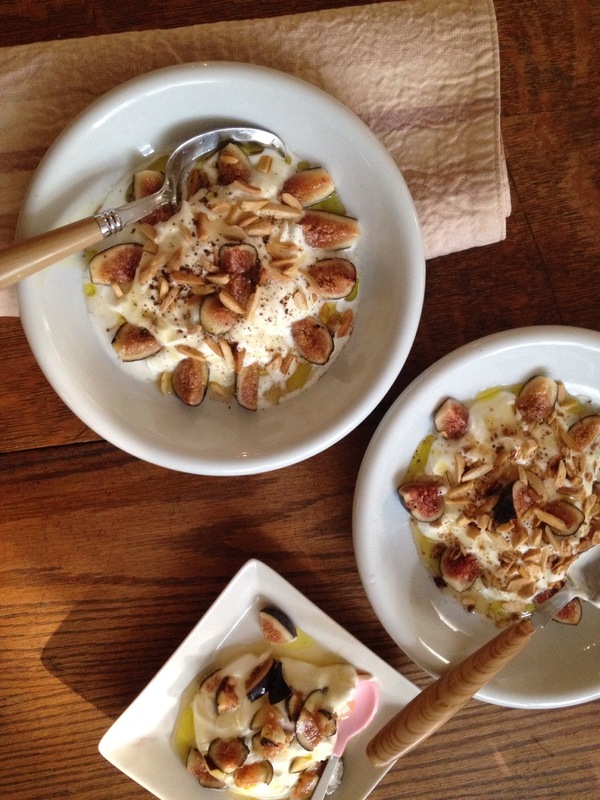 We are loving the Greek figs we are finding right now!